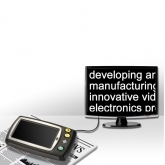 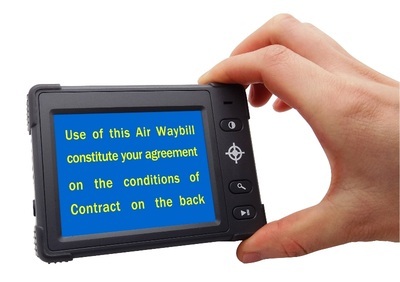 4.3 Inch Portable Electronic Digital Magnifier - Oasis Scientific Inc. 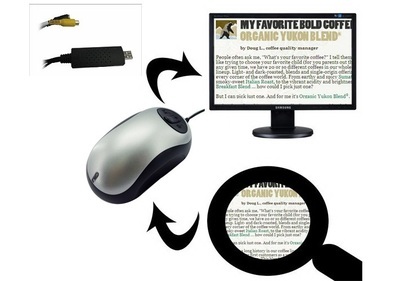 This 4.3” electronic magnifier is a handy aid to those dealing with low vision or macular degeneration. 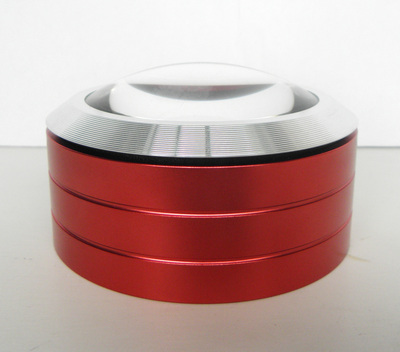 Small and compact, it can come to your aid anytime, anywhere. 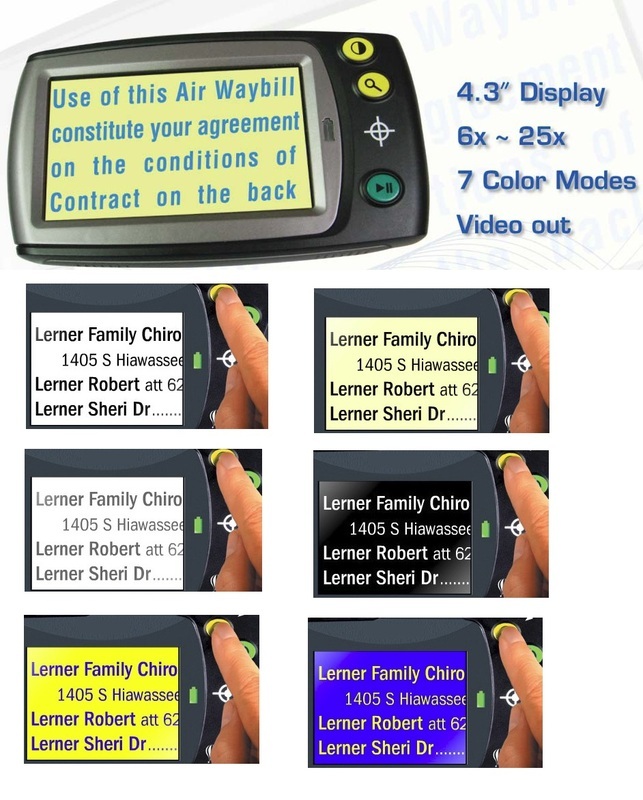 It magnifies from 6X to 25X on its LCD screen, offers multiple display modes to suit your individual vision needs, and allows you to freeze text, pictures, and objects for easier viewing. 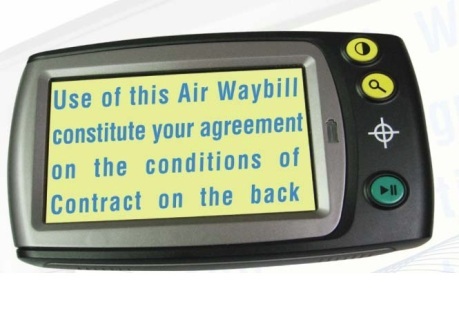 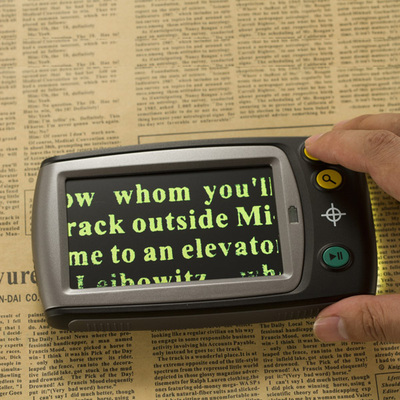 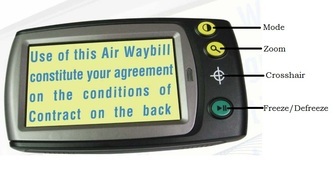 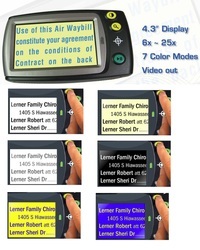 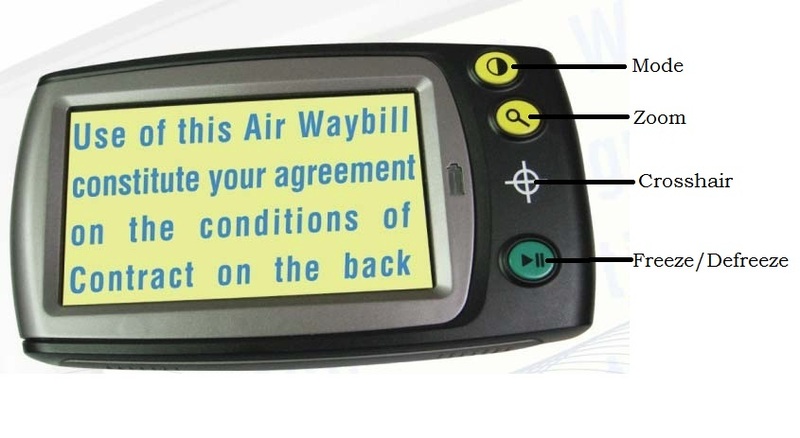 This digital magnifier is a great aide to reading, viewing maps, menus, recipes, medication labels and more. 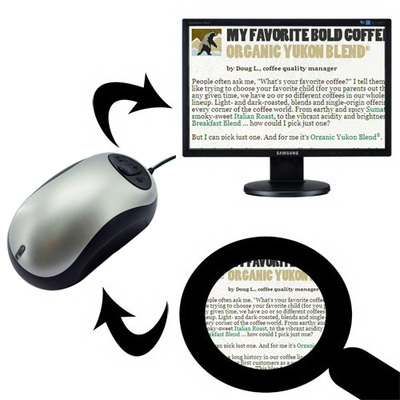 It is also great for reading labels and tags at retail stores or anywhere you might need bright, convenient magnification.